Let your users shop to their hearts content with amazon electronics, books or music! 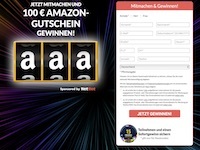 Because with this competition, your visitors can win a 100 Euro shopping voucher from amazon! The remuneration is per confirmed participant. Participation is completely free. No entry services (manual or automated), temporary or erroneous e-mail addresses. No multiple logins, no duplicate records. 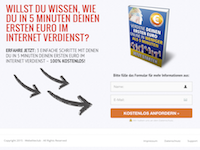 A lead will be considered valid if a unique user completely and correctly states his / her credentials and clicks on the confirmation link in the Double Opt-In Confirmation E-Mail of the Sweepstakes. IMPORTANT: All records undergo a comprehensive validity check - The data provided must match the registered raffle participant.